In 1960, Billie Valentine is a young housewife living in a sleepy Massachusetts suburb, treading water in a dull marriage and caring for two adopted daughters. Summers spent with the girls at their lakeside camp in Vermont are her one escape--from her husband's demands, from days consumed by household drudgery, and from the nagging suspicion that life was supposed to hold something different. Fifty years later, Ted and Eva's son, Johnny, contacts an elderly but still spry Billie, entreating her to return east to meet with him. Once there, Billie finally learns the surprising truth about what was lost, and what still remains, of those joyful, momentous summers. 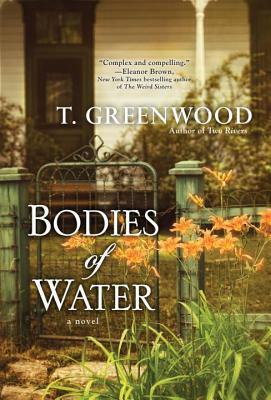 In this deeply tender novel, T. Greenwood weaves deftly between the past and present to create a poignant and wonderfully moving story of friendship, the resonance of memories, and the love that keeps us afloat. This is a love story, but it is also the story of an affair, an infidelity. Discuss how that impacts your reading of the characters and empathy to their situations. Billie's insecurities about herself as a mother run deep. Are they warranted? Is she a good mother? Why or why not? What does Eva represent to Billie? Do you think Eva was in love with her specifically or with the notion of her? Do you think she would have stayed with Billie had she made it to Vermont? Each woman has a different motive for getting involved in this relationship. What are these motives? What does each woman gain from the other's love and companionship? Billie has made a life for herself in California. Do you think she is truly happy? Why or why not? How about at the end of the novel, once she knows what really happened to Eva? Billie alludes to another relationship, but she says, “Even Lou, who was my constant companion for nearly twenty-five years, is shadowy now. A whisper. An echo. But the picture of Eva is brilliant.” What do you think this says about her relationship with Lou? Discuss your impressions of Lou. Discuss each of the marriages (Ted and Eva, Billie and Frankie). How would you characterize these men? How are they similar? How are they different? What do you think motivates Johnny to orchestrate the reunion between Eva and Billie? Why did he not do it sooner? Discuss what his relationship with Ted might have been like growing up. What does Billie sacrifice in order to move on with her life? Are there any other victims here? This novel returns to the fictional Lake Gormlaith found in many of T. Greenwood's novels. Discuss what the lake setting provides for Billie and Eva. Do you think that Gussy knew what was transpiring between Eva and Billie? Was she complicit in the affair? Do you think she knew that Eva survived the crash? If so, why would she not tell Billie? In the end, Johnny tells Billie that Ted lied to end the affair, and told Frankie that Billie was dead. Do you think Frankie would have told Billie the truth if he knew it? How might have the love story between Billie and Eva played out if they had met in 2013 instead of the 1960s? Would their romance really have been easier, more accepted? Why or why not? Discuss how the social and cultural restrictions of the 1960s shaped their affair and what the differences would be today. Early on, older Billie observes patrons of the library: “I’ve seen how lost people get on the internet, tapping away frantically. Teenagers lined up in a row not speaking to each other, but rather clicking away on their Facebook pages, sending emails, instant messaging, ignoring each other in favor of their virtual friends. Watching them makes me feel strangely lonely.” Explore the theme of loneliness in Bodies of Water. How and when is Billie lonely? When is she not? Reread the opening paragraphs to the first and last chapters. Has the concept of memory evolved over the course of the novel? If so, how? If not, discuss the consistencies. Talk about the importance of memory in the book and in the way you experience your own lives and loves.